On November 16th 2017, CEO Normann Kreuter was member at a panel discussion about the topic “Start-up policy in Rhineland Palatinate”. 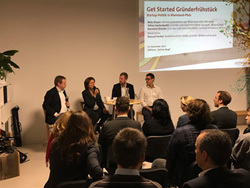 The discussion was part of the “Get Started Founder-Breakfast” in Mainz, organized by Bitkom. Participants beside Normann Kreuter were Prime Minister of Rhineland Palatinate, Malu Dreyer and Tobias Hastenteufel, CEO of Qurasoft. After a short speech of Malu Dreyer the requirements and support for start-ups were discussed as well as some questions and suggestions of founders. 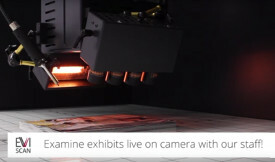 You will find a more detailed report about the event here.